MANILA — Did you know that more than 35 Filipino words have made it to the Oxford English Dictionary? 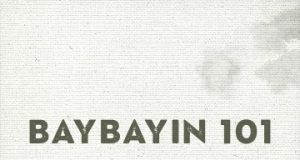 In its 2016 update, words uniquely coined by Filipinos like “aggrupation,” “yaya,” and “tabo” were added to the international dictionary. In celebration of Buwan ng Wika, the ABS-CBN Investigative and Research Group takes a look at some of the Filipino words that have become part of the English language through the years. Aggrupation: (Philippine English) An association or grouping, especially a political organization; an affiliation formed on the basis of common interests or objectives. This word has long been used in Philippine political discourse, and in bills filed in Congress and other official documents. But the word ‘aggrupation’ was only included in the Oxford English Dictionary in 2016. Pinoys are known for their sense of humor even through the worst disaster—an attitude that often borders on fatalism. The term ‘bahala na’ succinctly encapsulates this Pinoy characteristic of giving up to fate the things beyond their control. Balikbayan: (Philippine English) A Filipino visiting or returning to the Philippines after a period of living in another country. With 2.2 million Filipinos working overseas per the 2015 Census, nearly every Filipino has a relative or knows someone working abroad. Filipinos have thus coined the term ‘balikbayan’ to refer to someone who returns home from abroad. When a balikbayan arrives, the whole clan—along with the entire neighborhood—celebrate. 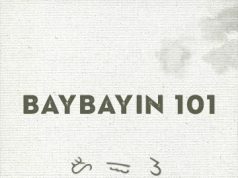 A balikbayan usually ships a ‘balikbayan box’ to the Philippines: a big box containing food, clothes, toys, kitchenware, and the like for family and friends. By putting together two English words: ‘batch’ and ‘mate’, Filipinos have coined a new term to denote what in other countries is simply called a ‘classmate’. Filipinos have an affinity with their batchmates that often remains long after graduation. These terms have been used in American publications in the mid-20th century but eventually fell out of use in the US. In the Philippines however, these terms have remained typical. The Philippine National Police includes the category ‘carnapping’ in its official crime statistics. In 2016, the police have recorded 9,334 ‘carnapping’ incidents in the country. What the rest of the English-speaking world refers to as a “restroom” “toilet” or ”washroom” is a ‘comfort room’ for Filipinos. Like the word ‘carnap,’ the term ‘comfort room’ had already been used in American publications but later fell out of use. Dirty Kitchen: (Philippine English) a kitchen where everyday cooking is done by household staff, as distinct from a kitchen that is purely for show or for special use by the owner of the house. 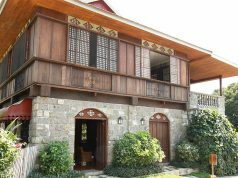 It is not uncommon for Filipino homes to have two kitchens: a nice kitchen just for show, to be used only on special occasions by the owner of the house, and a second ‘dirty kitchen’, where the household’s daily meals are prepared. Whereas the English definition of ‘gimmick’ refers to a trick to attract attention, Filipinos have coined a new meaning for this word to refer to a night out with friends. In the Philippines, the English words ‘high’ and ‘blood’, when joined together, refers to hypertension, as in high blood pressure. But Filipinos also use the term to connote feelings of anger and agitation. Note: Not to be confused with “high-blooded,” which refers to someone of noble descent or from a highly regarded family. A woman who likes to shop for new clothes and cosmetics is ‘kikay.’ Filipinos also created the hybrid term ‘kikay kit’ to refer to a small case or bag to hold one’s toiletries and cosmetics. Mabuhay: (Philippine English) An exclamation of salutation or greeting: long live ——! good luck (to you)! hurrah! cheers! According to the Oxford English Dictionary Editorial, while the word ‘mani-pedi’ is now widely used all over the English-speaking world, it was discovered to be of Philippine origin. Filipino writer Kerima Polotan-Tuvera first used the term in a 1972 essay. From the English word ‘president,’ Filipinos have added the suffix –able to refer to a candidate for President or a likely candidate for the position. Americans usually munch on peanuts while drinking beer. Pinoys also love to drink beer while munching on, well, an entire menu of dishes collectively known as ‘pulutan.’ Sisig is a crowd favorite, but also deep-fried pork intestines (chicharon bulaklak), fried tofu, grilled pork, grilled seafood, and even veggie sticks. Notwithstanding the formal meaning of ‘salvage’ as being saved, this word was used in the Philippines to refer to the summary execution of a suspected criminal, or the immediate killing of someone accused of a crime without due process. This word has become popular again with the rise in the number of suspected drug pushers and users killed since last year. A Filipino neighborhood is incomplete without a ‘sari-sari store.’ Filipinos have coined this term from the word ‘sari’, which means ‘variety.’ Don’t be fooled by its diminutive size though—a sari-sari store offers nearly everything that a supermarket and pharmacy offers—snacks and canned goods, alcoholic drinks, cigarettes, even medicines and toiletries—but sold per piece or ‘tingi’. Tabo: (Philippine English) A dipper used to scoop up water from a pail or bucket while washing, traditionally made of coconut shell or bamboo but now more commonly made of plastic. This permanent fixture in many Filipino homes is a simple but functional multipurpose tool that may be used for bathing, washing clothes, cleaning the house, and for washing one’s bottom. Yaya: (Philippine English) A woman employed by a family to look after a child, or a sick or elderly person. In the Philippines, especially in urban areas, yayas have become an organic part of the household so much so that when yaya is away, the entire household falls into disarray. Their nurturing ways and genuine concern for the children they look after have endeared Pinoy yayas to families the world over. Prince William, celebrity chef Anthony Bourdain, and Olympic gold medalist Joseph Schooling have openly declared and demonstrated their affection for their Pinoy yayas. Other Filipino words or English words with Filipino meanings included in the Oxford English Dictionary are: baon, barangay, barkada, barong, barong tagalog, baro’t saya, buko, despedida, estafa, go down, halo-halo, KKB (kanya-kanyang bayad), kuya, pan de sal, pasalubong, sinigang, suki, and utang na loob.